Neck and back pain can be caused by most any type of car accident, but a primary cause is a rear-end collision and can produce debilitating pain for many victims. In South Carolina, more than 15,300 persons were injured in car accidents according to the Traffic Collision Fact Book released by the South Carolina Department of Public Safety. Have you or a loved one has suffered back and neck injury that was the result of a serious car accident that was caused by another motorist? Do you know that the victim may be entitled to compensation for medical expenses, lost wages, pain and suffering, and more? At the law offices of Harbin & Burnett, our team of personal injury lawyers have decades of experience helping back injury victims fight for their MAXIMUM compensation amount. To find out how we can help you, call us today at 1(888)821-0247 or fill out the FREE Case Evaluation form to your right for a FREE and confidential evaluation of your neck and back injury claim. As the neck and back are made of bones, muscles, and other tissues that extend from the neck all the way down to the pelvis, many areas can be prone to injury. Depending on the injury, the victim may experience various symptoms. Whiplash victims may have pain that extends into the shoulder or arms, muscle spasms, neck swelling and tenderness. Herniated disc victims can experience sharp bursting pain in the legs, numbness, muscle weakness, and bladder control problems. It is important that accident victims seek medical assistance right away in order to diagnose any back and neck injuries they may have suffered. Simple activities such as sitting, standing, and laying in certain positions can further irritate the injury. 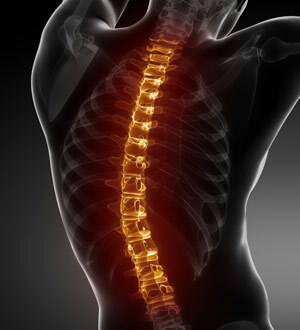 A back and neck injury can require a victim to abandon day-to-day activities thereby affecting quality of life. Depending on the injury, treatment may vary but various forms of physical therapy will likely be recommended. The lawyers at Harbin & Burnett understand how back and neck injuries can interfere with a car accident victims life, for many victims these injuries lead to lifelong complications. If you or a loved one has suffered a serious back or neck injury in an accident caused by a careless driver, the victim may be entitled to compensation. We understand how important it is to have tough, smart working attorneys working for you. Our lawyers will work hard to ensure that you receive the MAXIMUM amount of compensation you deserve. Along with comprehensive legal counsel we can help to guide you through the entire litigation process. For more information on how we may be able to help you with your car accident claim, contact us at 1(888)821-0247 and let us review the details of your incident. If you would prefer to contact us online, fill out the FREE Case Evaluation form at the top right hand corner of this page its 100% confidential.